Recently, a colleague requested a life coach salary quote from me concerning average hourly coaching rates. Most surveys, books, and blog posts on life coach salary focus on coaching hourly fees, but I don't know a single coach who charges by the hour. I think most people looking for information about life coach salaries are either new to coaching, or they're thinking about becoming a coach, and assume coaches charge by the hour like most professionals. Coaches aren't like most professionals. Master coaches are really unlike other professionals in many ways, but virtually all successful coaches, who run their own businesses, charges by calendar time, not clock time. Most professionals charge by the hour. That's clock time. For example, if you hire an attorney, they will charge you by the hour, usually in 5-minute increments. So, if your attorney charges $250 per hour and you call for a three-minute conversation, you'll be charged $20.83 for that conversation. I've never heard of a coach doing it that way. And I know a lot of coaches. Coaches charge by the calendar and that allows freedom and customization. The hallmarks of great coaching are extreme personalization and customization, meaning you and your client are free to co-create the coaching service in real time. Neither of you knows exactly what to expect when the client hires you and you don't want them to hold back on calling you, just because they don't want to pay an extra $20. You want them to call with a question, if it will help them reach their goals more quickly. Charging by the hour puts money first, clients second. As every new coach who takes our Certified Competent Coach course, learns on the very first day, coaching is all about the client. Most people have never experienced anything that is all about them, especially as adults, and it is transformative. If you charge your clients for each little benefit they receive with your coaching, you let money become a barrier to their growth and success and you communicate that your business about you and the money you make, more than it is about them. So how do real coaches charge for their coaching services? Most coaches charge by the month and everything that is included with the coaching is covered by that one fee, which is paid in advance and is usually automated. That way, you and your clients never have to think about the money. Some coaches charge by longer chunks of time, such as three or six months. This is common in business and executive coaching, but even if you're a life coach, who charges by the month, require a minimum time commitment from new clients, such as three months, so they make substantial progress with you. Get the money out of the way and focus on coaching your client. The International Coach Federation (ICF) is the oldest (est. 1995) and largest (23,790 members, as of June 2016) not-for-profit professional coach association and certifier of life, business, and executive coaches (18,710 current ICF certified credential holders). Periodically, the ICF, via PricewaterhouseCoopers LLP, administers a global study of coaches worldwide (including non-ICF members), the results of which, comprise a snapshot of where the profession of coaching is, right now, and where it seems to be headed. These coaching results may be the most accurate available. Over 15,000 respondents, from 137 countries, took the survey. 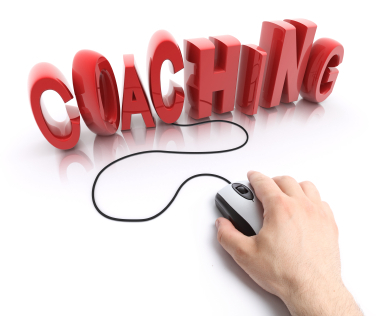 The ICF estimates there are over 50,000 professional coaches, worldwide. 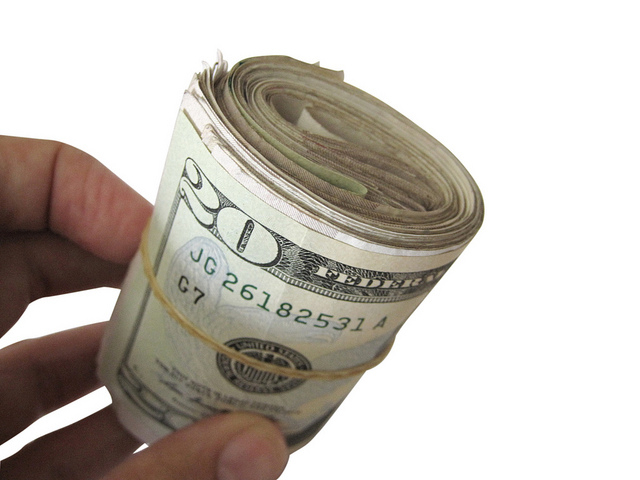 Coaching earns over $2 Billion per year in US Dollars. How much do coaches earn, yearly? Income varies widely, but then, so does purchasing power. Other factors include number of years practicing and type of coaching practiced. Globally, coaches average $51,000 per year USD. The highest earners are in Oceania ($73,000+), followed by N. America (almost $62,000), and W. Europe ($55,000+). Lowest earnings are in E. Europe, Latin America, and the Caribbean ($18,000+ - $27,000+). Most coaches (75%) expect their annual income to increase in the near future. Some coaches (45%) expect their fees to increase in the near future. Do coaches need coach training and certification? A whopping 99% of professional coaches have coach-specific training. Of these, 81% have studied in an accredited or approved program, such as this one. Over two-thirds have completed at least 125 approved/accredited hours of coach training. 77% say their clients expect coaches to be certified. 44% say the biggest obstacle to the coaching profession is untrained individuals who call themselves, coaches. The largest numbers of coaches see the greatest opportunities in Increasing awareness of the benefits of coaching (38%) and credible data on the ROI/ROE of coaching (26%). An amazing 84% of coaches believe coaching can influence social change (that's one of the reasons I started this school). 54% believe coaching should be regulated. 85% of those believe professional coaching associations should be the regulators. Everybody knows that CEOs and Executives are the folks who all have high-priced executive life coaches. But a new study from Stanford University says there's a big gap between the number of executives who want coaching and the number who actually get it. How many executives want coaching? According to Stanford, virtually 100% want coaching and consulting. How many actually get it? Only 34%. That's a lot of need for executive coaching services that's not being met. By the way, what's the difference between life coaching and executive coaching? Not much, according to Sherpa. Executive coaches use many of the same communication and awareness-building skills that life coaches use. The difference is largely in who gets coached and how much is charged for it, with executive coaches averaging roughly double what life coaches charge. Why do 100% of CEOs and Executives want coaching? They want to learn how to handle conflict better. They want to learn to mentor and develop talent. They need to learn to share leadership and delegate. They need to improve team building. These skills are all about cooperation, not the competitive, swim-with-the-sharks approach that the upper echelans of business are known for. What are CEOs and Executives NOT interested in? Motivation, compassion, empathy; these life coaching 'soft' skills aren't sought after by executives, but can be powerful add-ins when combined with the more tangible wants, above. Smart coaches have always marketed and sold what clients want, while adding in important soft skills as their 'secret sauce'. CEOs and executives also want advice, because they make big decisions daily and they know they don't know it all. But there's a big difference between wanting advice and taking the advice given. That's where coaching skills trump consulting. Coaches communicate in ways that make it far more likely that clients will act upon good ideas. For more on why CEOs value executive coaching, watch this Forbes video interview of Google CEO, Eric Schmidt, who says the best advice he ever got was to get a coach. Want to become an executive coach? Get the coach training and certification you need. If you're a high achiever, get your own executive coach, as well. I've written previously about how executive, business and life coaches make money. And we have a free eBook that goes into detail about life coach salaries. But here's something we don't often write about: How else do professional coaches make money? Average salaries for executive, business and life coaches range between $50,000 - 150,000USD for COACHING services. But most coaches have a few other services that they also offer, which can boost their salaries well into the high six figures. The ICF has just released this helpful infographic on the "Extras" of coaching. In other words, extra services. 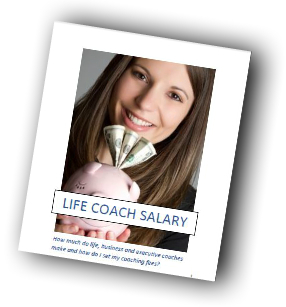 Below it, you'll find a link to sign up for the Life Coach Salary eBook, to learn more about how coaches make money and how to set your coaching fees. Have you ever wondered about life coach salary rates or how much money executive or business coaches make? Or are you setting up a coaching business and wonder how to set your own coaching fees? Or are you wondering if you should become a coach? If you said YES to any of these then you need to read the new information-packed FREE eBook: Life Coach Salary. We took several of our most popular coaching blog posts and added the 'How to Set Your Coaching Fees' worksheet, previously only available to SCM students. Then we combined them into an information-rich free ebook. It's a quick read that will help you understand how much professional coaches make, how coaches set up their businesses for profitability and how to set your coaching fees with confidence. Let's face it, confusion is the enemy of success. This free eBook can wipe out your confusion about coaching costs and help you take the next step toward becoming a successful life, business or executive coach. 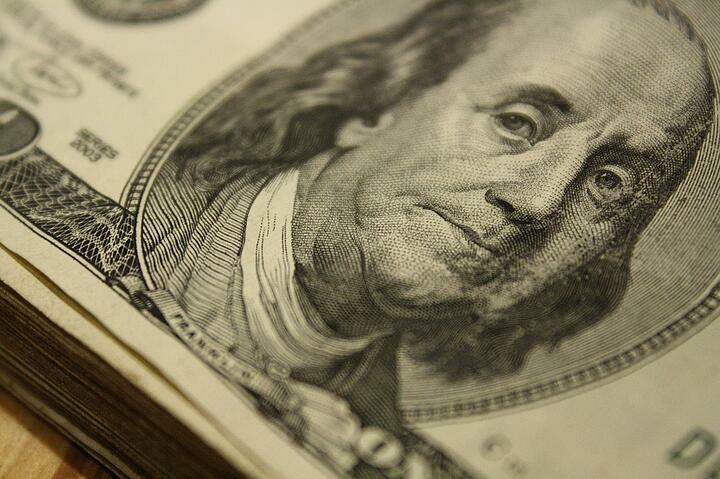 How much do executive, business and life coaches make? How many clients does the average business, executive or life coach have? I reference large-scale coaching surveys from the ICF and Sherpa Coaching, plus information on setting fees from three top mentor coaches, Donna Steinhorn, Barbra Sundquist and Mattison Grey. 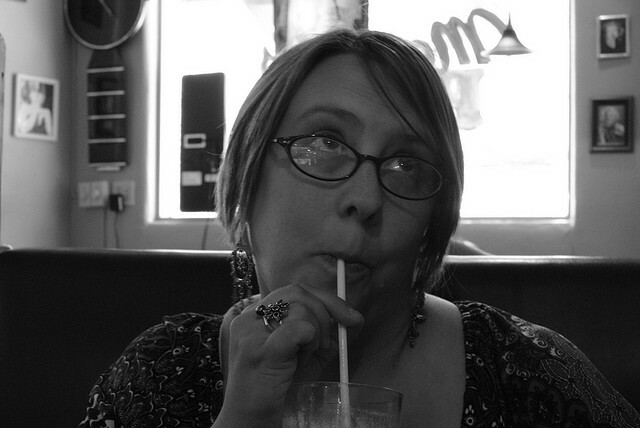 Life Coach Fail: Are You an Unpaid Helpaholic? A dried-up grape = a raisin. A dried-up coach = useless. But saying NO requires discipline, because it feels good to help. And it feels really good to help for free. And it's real easy to get clients when you're doing a great job of helping everybody for free. But it's unprofessional. Charity is a beautiful thing under the right circumstances. Coaching isn't one of them. Charitable coaching is unprofessional, because when you coach clients for free, or for too little, it undermines their potential. People play small when they don't have enough skin in the game. That's just how we're wired. It feels challenging - scary even - to ask people to pay for coaching. But get paid you must, unless you're independently wealthy. So that's another reason why coaching for free is unprofessional. Here's a third reason why coaching for free is unprofessional. It allows YOU to play small, because coaching for free lets you off the hook when it comes to delivering great value. I'm not saying that coaches should never coach for free of low fee. It's okay to do that at first (I even recomemmend it), or later if you're changing your business, but be sure you know what you're getting in return, such as experience, learning, referrals, or something else that will pay off in the long run. Bottom Line: People reach their Greatness when they are givers, but you can receive even while you're giving. And if you don't receive for your coaching, the other people (a.k.a. your clients) won't reach their Greatness. And isn't Greatness what coaching's all about? Last night, I taught a Q&A tele-webinar on How To Set Your Coaching Fees for my clients, students and guests. They asked great questions and I know the class was a real eye-opener for them. The class was inspired by questions from one of my Elite Mentor Coaching for High Achievers clients and is also included for members of the new Just In Time Coach Training and other School of Coaching Mastery Programs. Bottom line? Life coaching is an expensive, highly personalized, high-end service. Attempts to make coaching more affordable and hopefully, easier to sell, tend to fail. Compass Coaching is an example. All logic to the contrary, sometimes a service sells more easily when it's expensive. (Just ask a behavioral economist how logical people are about spending money!) And of course, all of this applies to business coaching and executive coaching, as well. Long story short: if you missed the tele-webinar, or even if you were there, here's a list of 15 reasons your coaching fees are probably too low. I've divided the list between A. Your probable reasons for undercharging, B. Why that doesn't work for your clients, and C. The reality check. I hope it's helpful! You have a disempowering story about why people won't pay you more. Yes, a lot of people have been out of work for a long time. But 90% are still working and many of those are making more money than ever. And coaching continues to be the 2nd fastest growing profession in the world. But those are generalizations. The truth is, people who see for themselves the value in coaching will find the money to pay for it. For example, if you're a career coach who has a great track record helping people get hired, an unemployed person will pull together the money to hire you. You're trying to sell coaching to people who don't value it. For one person, $25 per month will be too much to pay for coaching. But for someone else, anything less than $500 may be too little, because they want the best coach they can afford. Like it or not, people frequently measure how valuable something is by how much it costs. And in the case of coaching, clients actually put more effort into their own results when they pay more, because they want their money's worth. So don't waste time on the 'client' who's interested in coaching with you, but not interested in paying, unless you sense they are that rare person who will knock themselves out even if you coach them for free - and you really want to coach them. You don't think you're worth it. Okay, let's say you're a new coach and you've seen the credentials and track records of your competition. Pretty intimidating? It may be tempting to compete on price, but will that really satisfy you? A better strategy is to do everything in your power to get results and credentials as quickly as you can, so you can compete, period. Coach a lot of people for free for a set period of time, but be sure each client knows you want a testimonial from them in exchange. Become a certified coach quickly. Join the IAC and ICF. You're trying to coach too many people. When I first became a life coach, I thought 30-40 clients was a full coaching practice. And to make a good living, I really did need a lot of clients, because I was only charging $100-200 per month for each. That left me in a chronic state of always needing more clients. I wish someone had told me that most successful coaches have less than ten clients. You don't know how much money you need to make. As I showed my class last night, your coaching fees aren't your life coaching salary. When you subtract the money it takes to make money, including your business expenses, taxes, and benefits you'd normally get from a salaried position, it takes a lot more money than you might think, especially if you only have 6 clients. Be sure you do the math. You want to coach low-income people who could benefit from coaching. Nothing wrong with that, unless you put yourself out of business. Better to charge a fee to most of your clients that's high enough to allow you to offer some scholarships. You can also volunteer your coaching services to an organization that provides coaching to low-income people. People perceive life and business coaching as a highly-personalized, high-end, expensive service. That's what they're looking for and it's usually what they want to buy. When you charge less, you look like a bargain-basement coach (who may deliver bargain-basement results). One-to-one coaching delivers dramatic results and if the price tag is inconsistent with that, you run the risk of confusing people (and confused people don't buy). When people buy a high-end service, they're saying to themselves, 'I'm worth it!' That feeling is what they want. And when someone decides it's time to get a life coach to help them upgrade their life, that feeling is a big part of their resolve. They may actually be disappointed if you don't charge enough to make a statement that from now on, things will be different for them. People want their money's worth, so the more they pay, the more value they'll get. Your high-paying clients will work harder and achieve more. And you'll be less likely to slack off, too. As one of my colleagues told me, every time she signs on a client with her new higher fee, she thinks, 'Holy crap! Now I have to deliver that much value!' and that's a good thing. Your clients deserve better service from you. I tell my clients that it's my goal to give them exactly what they need. They're all high-achievers, so I'm confident they won't become needy just because I'm extremely supportive. But a coach who's trying to make a living with 30 low-paying clients is spread too thin between serving clients and constantly needing to market and sell in order to keep the numbers up. That means less attention for each client. And it may mean that you're needy, because you always need more clients. A needy coach is never at her best. Coaches worldwide average around $200 per coaching hour. Even if you choose to discount your fee, you don't need to charge a lot less than that. According to Sherpa Coaching, most professional coaches average just six clients per week. That means each client needs to pay a hefty fee in order for the coach to earn a substantial salary. Even if you have only 5-10 coaching clients, you will need to spend some time and expense on marketing and sales and you need to be paid for your entire week, not just the time you spend coaching. When you add up what it costs to be in business, including business expenses, income tax, retirement investments and, if you live in the US, health insurance premiums and 100% of you Social Security and Medicare payments, you may find that earning a $100,000 take-home salary from coaching may easily require $150,000 in annual income. Well there you have 15 reasons why your life coaching fees are probably too low. What are you going to do about it? A really cool problem to have (in the sense that it's the kind of problem you WANT to have) is to not know how to set your life coaching fees (or business or executive coaching fees, as the case may be). There are many approaches to setting your coaching fees, some psychological (what's the highest fee you can say out loud without gagging?) to financial (how much do you need to cover your business and living expenses, plus benefits, etc.?) to whimsical (how much do you WANT to charge?). What most new coaches really want to know is, 'Am I worth it? ', 'Am I credible? ', 'Will they laugh at me?' These are great concerns to talk about with your mentor coach. If you don't have clarity about your fees, you probably won't sign on paying clients. Either people will shy away, because you seem uncertain, or you'll hold back on offering your services, because you're confused. That's expensive, so get it cleared up. One of my EMCHA clients asked me about this recently and I decided to design a class for him that covers it thoroughly, because coaching around a topic like this is important, but sometimes some plain, old-fashioned information helps, too. This live one-time-only class is free to SCM members and it's also available for a small fee to others. Not long ago, one of my life coach students, who was transitioning from a regular job to owning her own life coach business, commented in class that she was going to miss getting a steady paycheck. I’ll bet! What life coach wouldn’t miss a guaranteed salary? Well here’s a secret about life coach salary (or executive or business coach salary): Even if you work for yourself, you need a steady paycheck. No, I didn’t say you need to get a steady job. 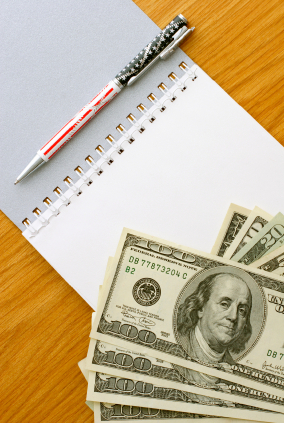 Your coaching business needs to pay you a steady salary. You really can have the best of both worlds! This is the first lesson in business finance. But unfortunately for me, I missed this lesson for several years. The result? a constant feast or famine condition that wreaked havoc in my checking account and my life. This chaos created inordinate stress about money and made it nearly impossible for me to invest, save or even have fun with my money, because I was constantly uncertain how much would be coming in. The answer? I started paying myself a salary. Stress canceled. Uncertainty eliminated. Balancing my checkbook? No problem! Actually, the benefits of paying yourself a life coach salary are so numerous that I’m not going to even try to cover them all in this blog post. But before you take action, check with your accountant or attorney. In my case, getting started with a life coach salary was as simple as transferring a set amount of money every Friday from my business account to my personal checking account. But even if you choose a formal payroll, which has some benefits, it can be simple and easy. Check with your bank or maybe check out Costco’s low-cost payroll service. 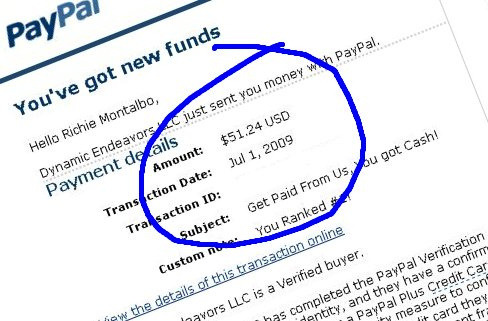 How can you start paying yourself a paycheck right away? Take a look at how much money your business brought in the last 3 to 6 months. Average it and subtract your business expenses. That’s your potential salary. Then take a look at how much you think you need to live on (don’t forget to include estimated tax payments and savings of at least 10%). If what you ‘need’ is more than what your business can afford to pay you, start simplifying your life or get more creative. (For me, it’s a fun game to ask, ‘How could I get this for free or nearly free?’ For instance, I discovered that it’s much more fun and rewarding to check out movies from my library than it is to pay a bloated cable fee.) But if you really can't pay yourself enough, there's no shame in getting a part-time job, until you can. The funny thing is, although what I initially paid myself seemed like too little, I nearly always had extra money left over at the end of the month - in addition to the money I intentionally saved. Does this seem too limiting, or at least, not exciting enough? Well if you love excitement, go for the chaos. And if you’re really crazy (been there), try enforcing ‘wealth consciousness’ on yourself while you’re struggling to pay your bills. Me? I find it much more exciting (in a good way) now that I’m free to plan my financial life based on some solid projections. As for wealth consciousness, it’s fun watching my savings accounts grow. And that small salary that I started out with? One year after I started paying myself a life coach salary, I was able to double my pay. Want to learn more about how life coaches really make money? If you're thinking about becoming a coach, then you're probably wondering whether you should get online coach training or in-person business and life coach training. It's an incredibly important issue for you, because it impacts your career, your passion and your ability to make a great living. So be sure to get this right. REASON #1: MONEY. Most professional coaches-to-be are concerned about the money they spend on coach training and rightly so. However, ultimately you also need to be concerned with your Return On Investment (ROI), which refers to how much more money you'll make as a coach and how soon. Because depending on your training, your life coach salary could range from zero to hundreds of thousands of dollars per year. That's huge. In person coach training almost always involves travel and lodging costs in addition to the training itself. And because hotels and classrooms are expensive for coaching schools, in-person coach training almost always carries higher tuition costs, as well, sometimes as much as $20,000 or more. Plus, in-person business and life coach training tends to be offered in short workshops and seminars, that last as little as a weekend or even one day. The event itself may be great, but if you've ever gone to a seminar, workshop or conference, learned fabulous new stuff and were certain that it would change your life - only to go home and find yourself living your same old life one week later, then you understand the 'extinction principle' which says that even great training wears off massively if not followed by systems and environments that support change. Which means your $20,000 coach training may leave you inspired, but with no viable coaching business. That's bad ROI. By contrast, online coach training usually costs less, involves no travel, time off from work, lodging costs, traffic jams or other delays. Just show up for class from where ever you are. And since online coach training is usually ongoing, you'll have supportive systems and structures to help you succeed, built right into the process. You're likely to spend less on training, start making money as a coach sooner and make more money overall. That's great ROI. REASON #2: TIME. I just touched on time, above, but here are some more time-related issues to think about: While it's important to optimize your training time, your brain will absorb what you learn better and you'll learn to apply what you learn more quickly if you spend a couple of hours per week in class and then apply your lessons to your own coaching business during the week. It would be great if you could just go to a weekend seminar and walk out ready to be a successful coach, but as a smart savvy person, you know transforming your life means changing a myriad of old habits to new ones. That takes time. REASON #3: LEARNING. I mentioned the learning issue above, but here's a deeper look at that. Most folks assume the they will learn more in in-person training, but that's usually because they haven't experienced high-quality distance learning. I'm not talking about turning in written papers online and I'm not talking about audio CDs and MP3s. While those can be helpful adjunct tools for training, nothing beats live, conversational classes for learning coaching. Let's face it: coaching is live in-the-moment conversations, followed by strategic action. That's what effective coach training is, as well. I'm also not talking about teleclasses, which are still a popular training format in some of the older coaching schools. And I'm not talking about standard webinars, which usually involved little or no conversation in a class. Today's technology allows us to do everything in what I call a 'tele-webinar' that we can do in person, except shake hands (or get stuck in traffic). Tele-webinar training is perfect for learning business and life coaching, because it allows you to join from anywhere, using your iPad, computer, and/or telephone; and have a highly interactive conversational class that allows you to learn in whatever learning style works best for you: audio learning, visual (in the form of slides, live demos, co-browsing, videos, etc. ), questions and answers, live practice and feedback, downloading materials before, during or after class, move your body, take notes, take an instant test, go out and apply it along with class colleagues, whatever learning strategy works best for you. Little by little, you learn new habits of excellence and get inspired by your own, and your classmates' successes. Together, you succeed. If you'd like to get started learning to be a successful coach and get life coach certification quickly, using the tele-webinar format, try Coaching Groundwork Advanced.